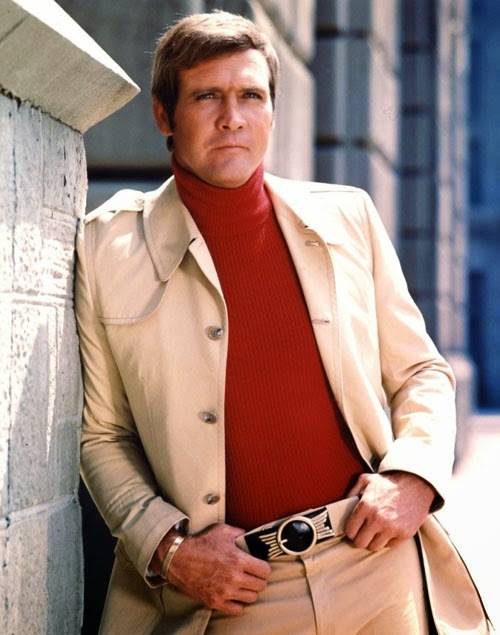 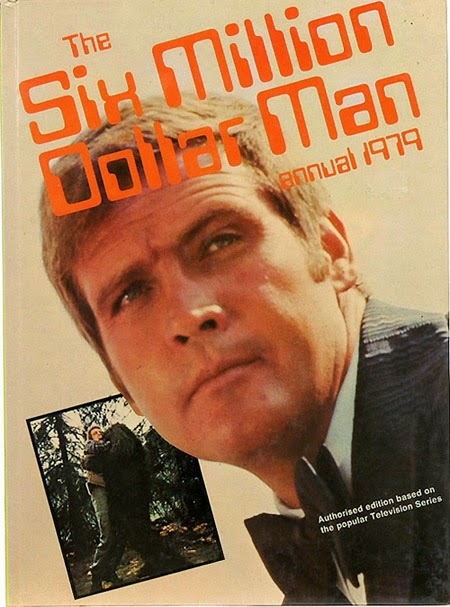 Here's wishing a very fine 76th birthday (born April 1939) to the great Lee Majors, the original Six Million Dollar Man, and hero to millions of 70s Star Kids. 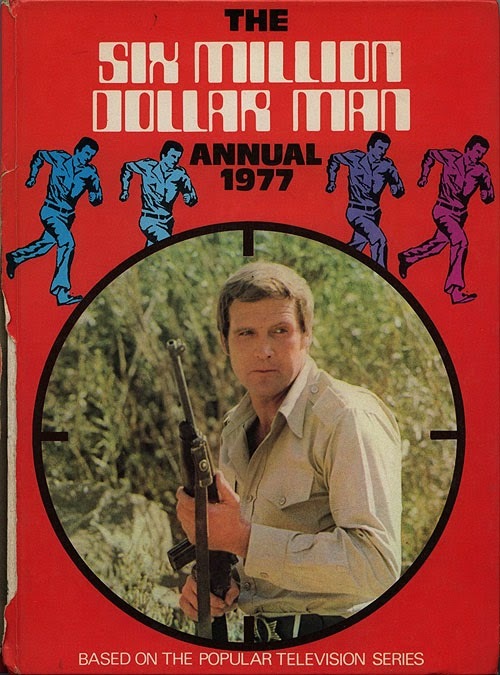 As with most popular television series of the Seventies, ABC's The Six Million Dollar Man was popular in the United Kingdom, and received the "annual" treatment for young viewers. 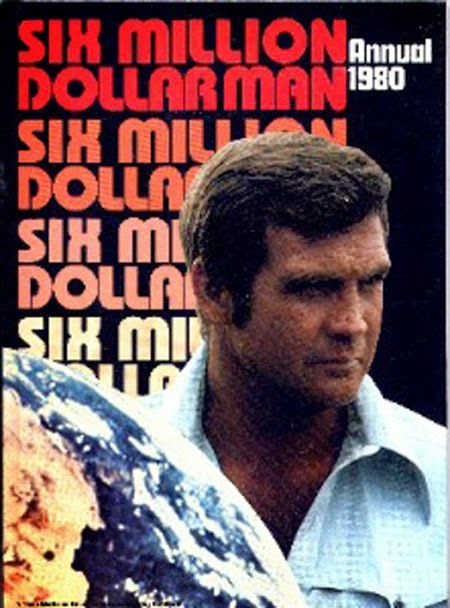 There were at least four of these hardcover collections of fiction, games, articles and comic strips, published from 1977 through 1980. 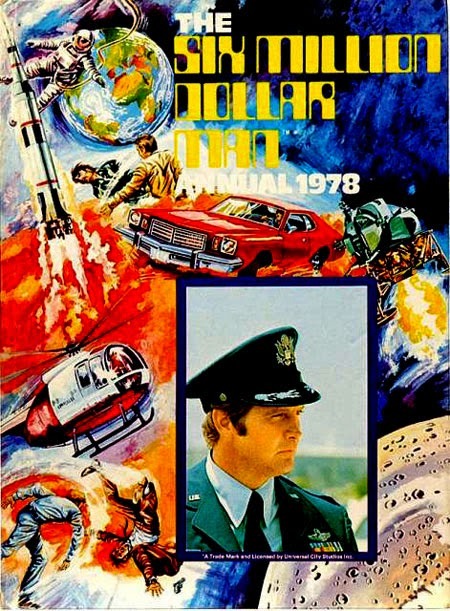 (If anyone know of others, please send scans - or if you have a better scan of the 1980 Annual, I'd like to replace the only one I was able to find online).